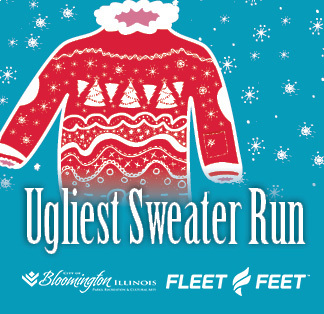 The City of Bloomington Parks, Recreation and Cultural Arts department and Fleet Feet Bloomington are partnering to bring you The Ugliest Sweater Run, a non-competitive 1.5 mile or 3 mile run/walk. The race is non-competitive. However, we will have awards for men and women in the following categories: Ugliest Sweater, Loudest Sweater, Best Sweatered Couple and Most Festive. Packet pick up and registration is available at Fleet Feet Bloomington from 5 - 6 pm on Friday, November 30 or from 12:00 - 12:45 pm at Miller Park Pavilion before the race on Saturday. Deadline to order a shirt is November 24. Please note that the entry fee paid is non-refundable and non-transferable. The Race Directors may delay or cancel the event if the conditions on race day are unsafe. In the event of a cancellation there shall be no refund of the entry fee or any other costs in connection with the event. T-shirts will still be available for pick-up. 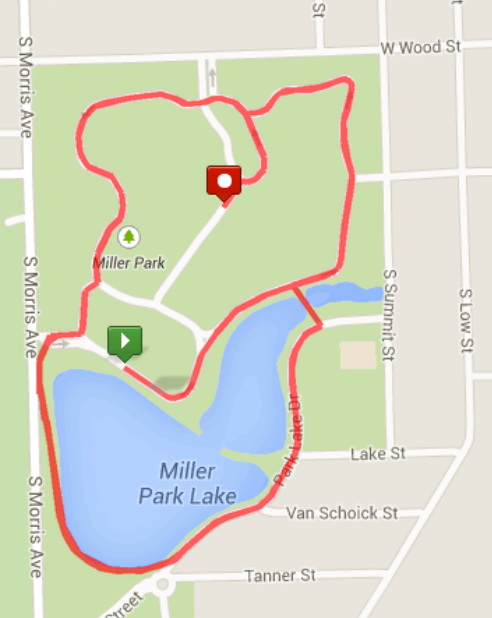 The 3 mile course is two and a half loops around Miller Park. The 1.5 mile route is one and a half loops around Miller Park.